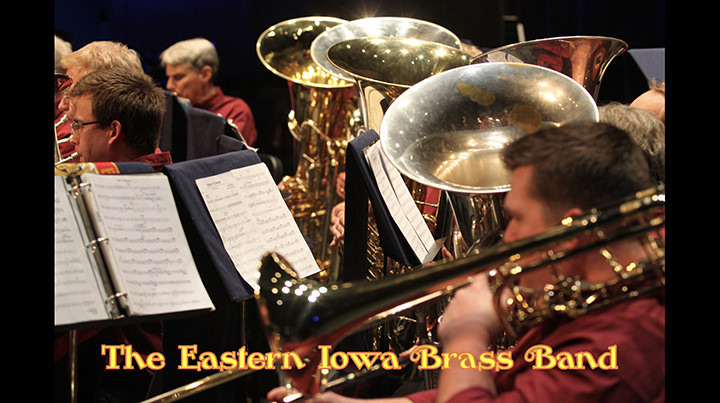 For over 25 years, the Eastern Iowa Brass Band has been entertaining audiences throughout Iowa, the Midwest and even beyond. The British-style brass band grew from a brass ensemble that was originally part of the city band in Mt. Vernon, Iowa. Standard British brass band instrumentation features conical bore horns, producing a rich, mellow sound that is both dynamic and colorful. As the only brass band of this type in Iowa, the EIBB presents a truly unique musical experience.